Fortunately, Schneider Electric is here to make this all easier for you. 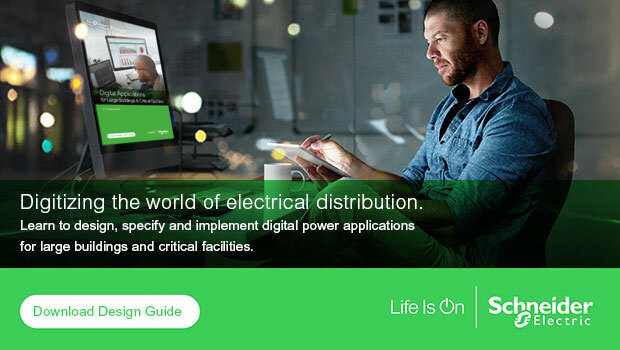 Our IoT-enabled EcoStruxure™ Power is a secure, flexible solution platform designed to address any or all of the applications discussed above, and more. EcoStruxure Power will help your customers optimize safety, reliability, and efficiency across one or more facilities while it helps you deliver solutions faster and on budget. Even better, you can download our new design guide “Digital Applications for Large Buildings & Critical Facilities” to help you define and build each solution in a few simple steps.